Celebrate this Mid-Autumn festival by making your very own Molten Hojicha Snowskin Mooncakes from scratch! This nutty, tea-infused mooncake boasts a modern and unique twist; a hojicha white chocolate molten centre! 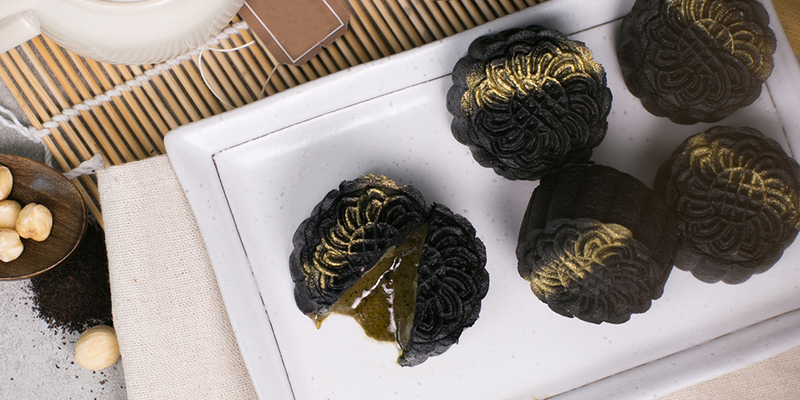 The mooncake is wrapped in a homemade black charcoal snowskin and finished off elegantly with edible gold dust. Join us for a fun filled mooncake-making experience that is bound to impress your family and friends!